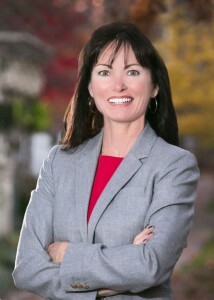 Susan Lange is the founder and CEO of Redwood Mortgage. She was raised in Philadelphia as the youngest of 13 children. She was inspired by her father, a small meat and grocery purveyor in Tacony who’s slogans of “never a bum steer”, and “you ring we bring” exemplified his commitment to quality and customer service – values his offspring would also come to live by from a tender age. Active in the Real estate industry since 1982, her genuine, instinctive affinity to consult and advise her clients stems from a desire to build on her experiences, always remembering where she came from. Susan thrives on keeping abreast of all possible options for her clients and possess an innate ability of narrowing these down to meet their needs. She maximizes opportunities for her clients by selecting quality lenders, engaging professional, knowledgeable loan officers and branch managers, keeping up with changing legislation and valuing her referrals. Licensed in NJ, PA, DE and FL, she is a member of several professional organizations including MBA. Susan is an avid sponsor of local events including: Elizabeth Haddon school events, Hospice Golf fund raisers and Special Olympics. She utilizes her commitment to health and fitness as a means to staying healthy, improving her relationships and setting an example for her two children. Susan is grateful for the loyal support of a great husband and family and recognizes them as key contributors to her success.